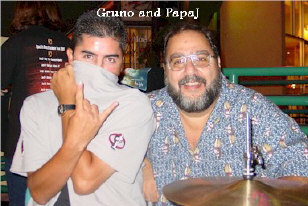 Some of my favorite shows have been when my good friend Gruno has come over and co-hosted with me. Our discussions are candid, light hearted, goofy and often explicit. Discretion is advised due to language. QueerEyeForSaddamGuy Maybe this one "over top"
110 Pcnt Pro Opening "Is This On?"